Olive trees, both potted and planted in the ground, are certainly a kind of tree that is garnering much attention these days. Caring, pruning and watering all take a part in letting olive trees grow well. Planting an olive tree, both in the ground and in pots, requires great care and attention. A well-planted tree will have stronger growth. Choose a sun-bathed area, which is never waterlogged. 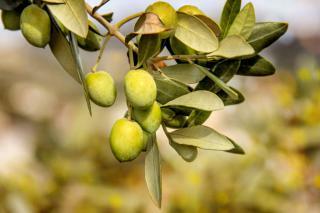 Also try to shelter olive trees from strong winds, especially if you aren’t in Mediterranean climates. As for soil, ensure that it is very well drained. Mix sand into your soil and cover the bottom of the hole with small rocks to ensure that water never sits near the roots. Follow our guidance for planting trees here at Nature-and-Garden. Growing olive trees in pots is perfectly possible as they adapt well. Choose a pot or garden box that is large enough for roots to freely develop. Water when the surface of the soil has dried out, without drowning the roots. If temperatures dwell below 23°F (-5°C), bring the olive trees indoors in a cool and ventilated place or wrap them with horticultural fleece. Pruning olive trees is recommended yearly at the end of the winter / beginning of spring. Olive trees prefer light pruning to severe pruning. But if you must drastically reduce branches, do so in fall if freezing is rare in your area, and in spring elsewhere. Moreover, never prune your olive tree in winter, before or during a freezing spell, since this could kill your trees. If you prune your trees in fall or autumn, they will grow new buds that will be very vulnerable to frost and freezing. Olive trees pruned in fall or winter might freeze. Remove branches that have grown from the foot of the tree or along the trunk. Remove branches that grow inwards, upwards, or are crossing/touching each other. Free the center of the tree, trimming branches growing towards the inside and keeping major branches that will shape the silhouette of the tree. For larger branches, apply pruning paste after the cut to avoid fungus infections. After pruning, if you’re suspicious that fungus may have infected leaves, burn the leaves. Add olive tree fertilizer to get a magnificent olive tree with abundant harvests. Olive trees are biennial fruiting trees, meaning that the harvest is bountiful one year and meager the next. Pruning yearly helps even out production. 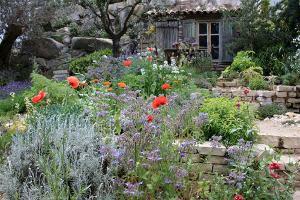 Olive trees are enchanting, merely mentioning their name brings in mind images of Provence and of the Mediterranean. This tree has a lifespan that extends over a thousand years. It is typical of Mediterranean regions, but it can be found already in more temperate climates such as along the Atlantic coast. Some succeed in growing it in the North, as long as it is well-endowed with sunlight and sheltered from excessive moisture. Olive tree will survive temperatures colder than 23°F (-5°C) if properly hardened. Cold is even necessary for olive production. 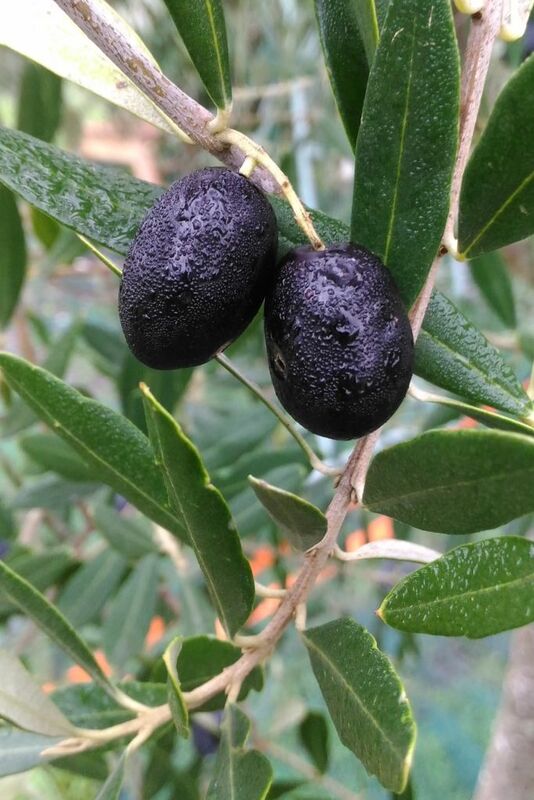 Its edible fruits are olives and are most often seen to be black or in shades of green. The closer the growing conditions are to their native environment, the more abundant can the harvest be. Olives can be eaten raw, even though they are better when they are prepared. Be prepared, they’re very bitter and the fact that they look like sweet grapes is very deceiving! 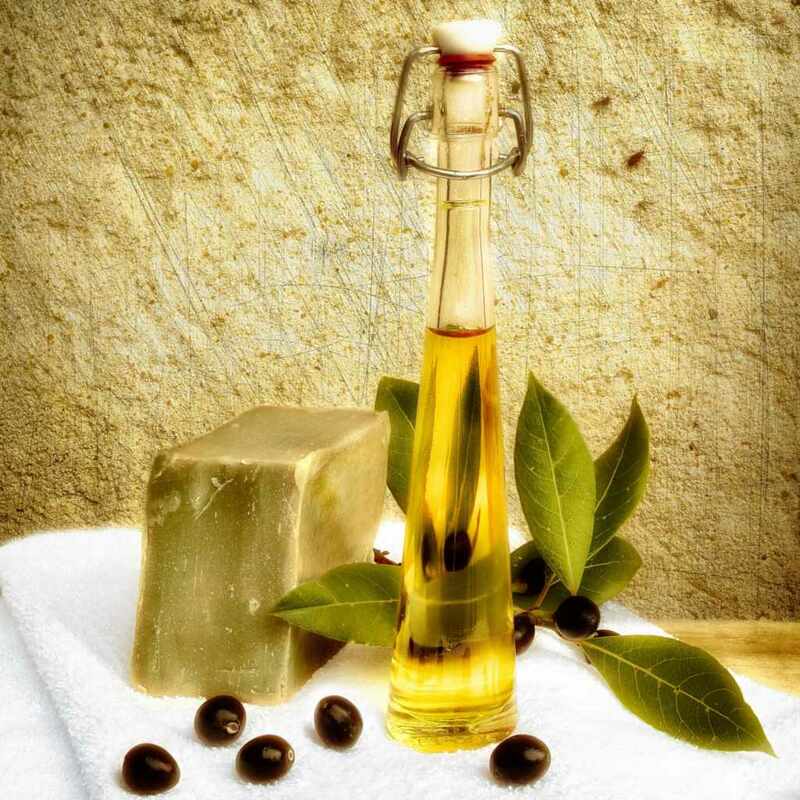 They are often pressed to produce olive oil which is famous for all the health benefits of olives on health! Among the hardy olive cultivars, here are the most common: ‘aglandau’, ‘amellau’, ‘frangivento’ and ‘olivère’. Among the productive varieties used for olive oil, here are the main ones in alphabetical order: ‘aglandau’, ‘amillau’, ‘araban’, ‘amygdalolia’, ‘Bouteillan’, ‘cayet rouge’, ‘calletier’, ‘cayon’, ‘frangivento’, ‘colombale’, ‘corniale’, ‘grossanne’, ‘lucques’, ‘manzanille’, ‘moufla’, ‘négrette’, ‘noirette’, ‘pardiguier’, ‘pointue de l’Ardèche’, ‘poumal rougette of Ardèche’, ‘reyne’, ‘tanche’, ‘verdale’ or ‘zinzala’ (incomplete list). 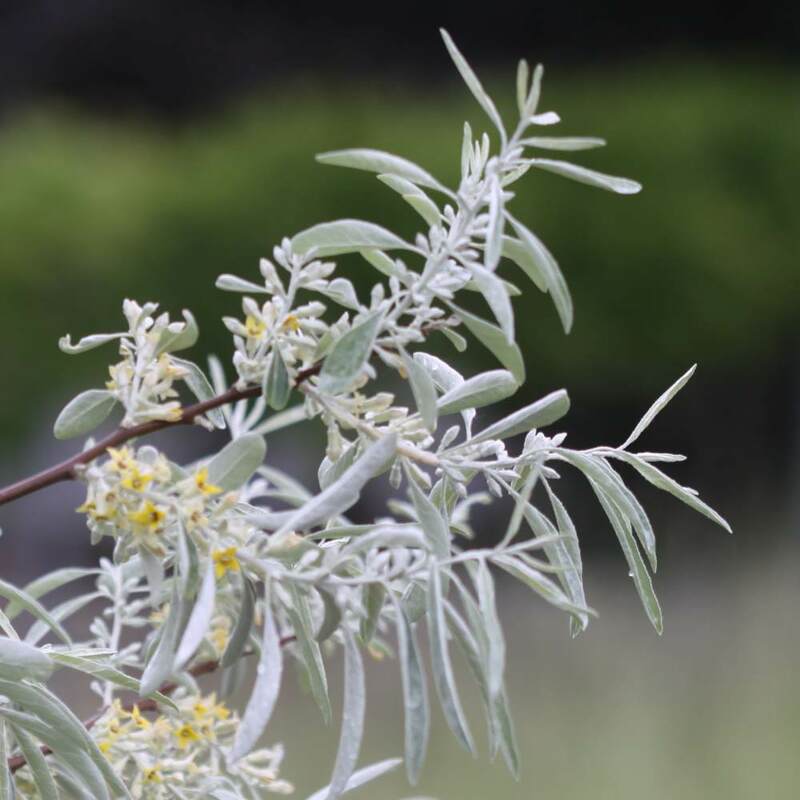 Finally, if you wish to only plant one tree, the most common self-pollinating varieties are ‘aglandau’, ‘amygdalolia’, ‘frangivento’, ‘cayon’, ‘grossanne’, or ‘poumal rougette of Ardèche’. Interesting Italian olive tree cultivars are the ‘Ascolana’, ‘Frantoio’ (also called ‘Oblonga’), ‘Dolce Agogia’, ‘Manzanilla’ and ‘Leccino’. Tunisian cultivars are also interesting, like the ‘Chemlali’. Newer South American olive varieties include the ‘Arauco’ (Argentina), ‘Criolla’ (Peru) and ‘Azapa’ (Chile). Israel also is home to some olive varieties, like the ‘Barnea’. For growing olive trees in pots, choose the ‘Amygdalolia’ variety, which naturally grows to smaller sizes. The olive tree resists diseases very well, and they rarely are fatal. Nonetheless, some parasites are common and it is worth treating them so as to not weaken the olive tree. In rather temperate climates and in cases of strong frost spells, cover your olive tree with horticultural fleece to protect it from the cold!